If you missed #47 click here. Best Moment: The pit! Just seeing around 20 cars all driving into a pit and smashing themselves to pieces! 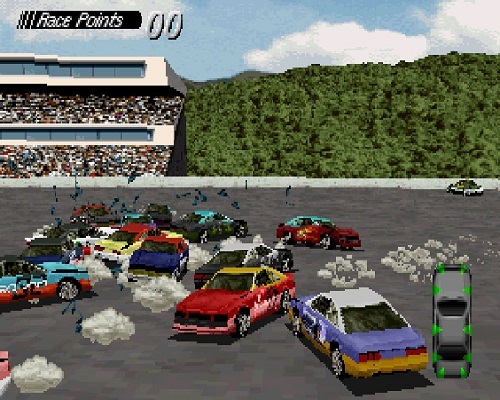 I never did play a lot of Destruction Derby unfortunately. I never owned a game in the series, but friends of mine did and I may have borrowed one at one time from a game renting shop (oh those were the days). It was always one of those games I really wanted to buy but never ever did. 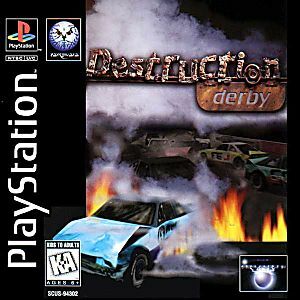 Destruction Derby was just BONKERS. Looking back on it now it doesn't look that great, but back in those games I couldn't think of anything more exciting than seeing a good 20 cars smashing eachother to pieces to get points and be the last car standing. Or of course, racing dirty against other cars, hopefully winning the race and leaving the other cars, literally in the dirt. It was a fun concept that unfortunately did die out rather quickly, as the series only produced four games. The novelty wore off rather quickly, which was a shame. To find out what #45 in my list of favourite PS1 games click here!